Crisis On Call > Why Identification? During planned medical procedures all information is readily available for medical staff to make informed decisions when prompted to do so. What happens when it is not planned? Accidents and trauma incidents happen without warning. Medical staff are often left to make decisions without having critical, lifesaving medical and other information at hand. Information such as allergies and chronic medicine could be vital. Johan Steenkamp, a CrisisOnCall member, was involved in a serious head-on collision on the Moloto Road on Friday 5 May 2017. He had sustained serious chest injuries. Johan contacted his wife, Elize, and informed her of the accident. He was in severe pain. Elize contacted the CrisisOnCall emergency centre. The closest accredited ambulance service was dispatched to the scene to assist. 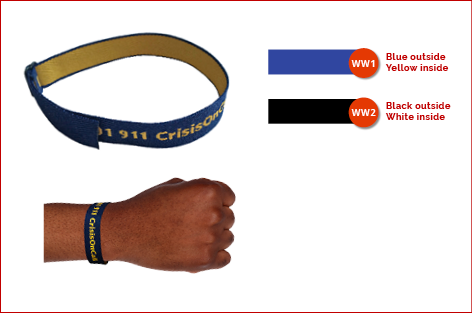 Upon arrival, the advanced life support paramedic contacted CrisisOnCall when he noticed Johan's CrisisOnCall wristband. He obtained vital information about Johan from the CrisisOnCall emergency centre and treated Johan accordingly - all the while the CrisisOnCall emergency centre staff kept his wife up to date. "Today I am very glad that we have joined. Without this membership, my husband could have lost his life." Everyone needs something that can talk for them when they cannot talk for themselves. Paramedics are left with a difficult choice on an accident scene: Look for information or treat the patient. The choice is obvious, treat the patient. Looking for information could be time consuming and TIME= LIFE! An effective identification and information system that is linked to a reliable call centre saves valuable time for the paramedic who can now focus on treating the patient with the necessary medical information at hand. A paramedic prepares himself while rushing to a trauma scene. As he gets there he immediately evaluates the situation and begins with medical treatment. It is here where information is of upmost importance, "Who is the person, what allergies do they have, what medication are they using"
Time can save a life. When someone is involved in a traumatic situation, it is of upmost importance to get the necessary treatment as soon as possible. 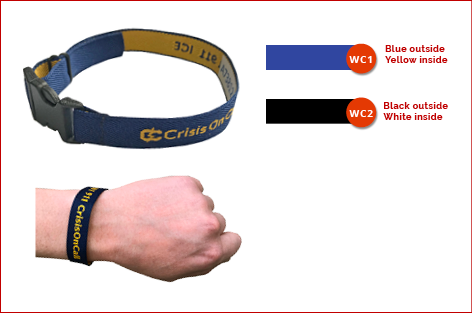 Many important questions are answered by the CrisisOnCall wristband. I am an Advanced Life Support Paramedic working in the Pretoria and Johannesburg area. I often encounter cases where I can see what a difference an identification system would have made. It is very frustrating when I, as a paramedic, want to treat my patient but I have to struggle to get information from them. It mostly happens when he or she cannot talk to me or they are confused when talking to me. Recently I was despatched to a suburb where I found an elderly patient. When I arrived on the scene, the patient was confused and disturbed. The patient manifested symptoms of a stroke which in medical terms is known as a "CVA" (Cerebro Vascular Accident). 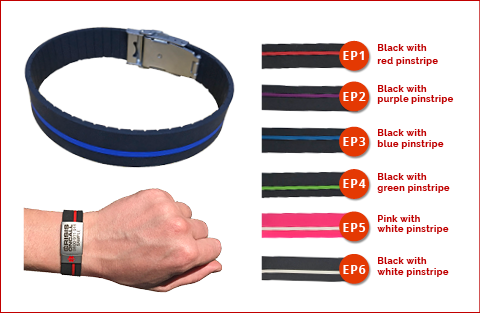 The CrisisOnCall bracelet helped me with the patient's medical history and also helped me as paramedic to arrange for the correct medical facility for optimum treatment. It made my task easier as I was able to concentrate on treating the patient to the best of my ability. Time is of the essence in medical cases like these. As a paramedic you only have an hour to prevent permanent damage or serious disability. That is why I believe in the CrisisOnCall system as it saves me time in determining the correct medical facility for my patient. CrisisOnCall has also helped me in the past with medical identification when I most needed it. One of the reasons why I, as a paramedic, am a member of CrisisOnCall, is because I know the difference it can make to someone in times of emergency. At around 22:22 on 16 January an Emer-G-Med ambulance responded to a scene where a Security guard was run down by a speeding vehicle in Pretoria. 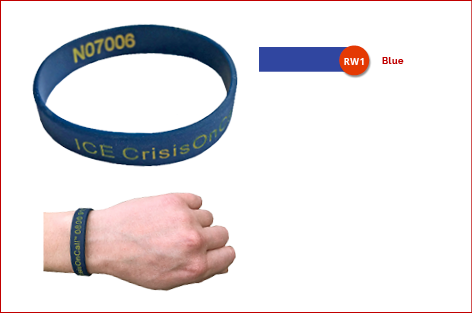 Fortunately, the patient was a CrisisOnCall member and all information could be obtained via the wristband. He was transported with Advanced Life Support to a nearby hospital with Chest injuries. Which identification system to use? At face value any identification system seems acceptable. 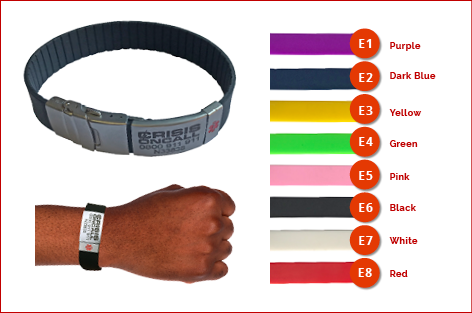 A medical aid sticker on the window, medical aid card in purse or handbag, car licence holder with smart code and APP on a cellphone or information stored on the cell phone. All of them have their limitations with linking it to the correct patient during an accident being the biggest problem. 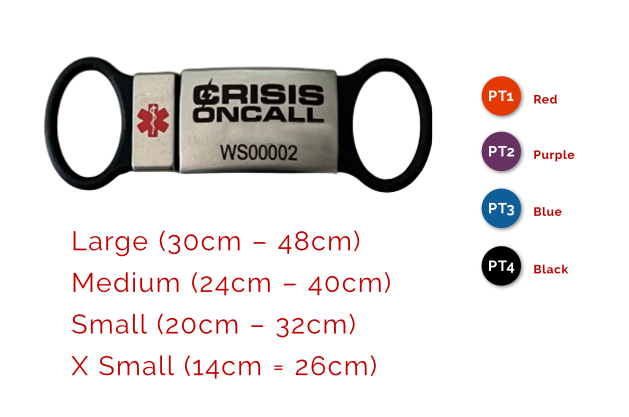 For more than a decade the CrisisOnCall identification wristband has proven that it is very effective and that it complies with the requirements of paramedics. Note that patients are often robbed at accident scenes. Due to the impact of the accident patients are often separated from their cell phones and handbags. Senior Superintendent Alta Fourie, representative of the Tshwane Metro Police said the following in the Pretoria News:"... the theft of accident victims' personal belongings is an unfortunate reality." Various other media articles underline the same problem. "Crash victims robbed" - SABC - 20 March 2016: The helpless victims of a fatal bakkie crash in Johannesburg were robbed by "bystanders" seconds after the accident, before paramedics arrived at the scene on Sunday morning. "Robbed while he bled!" The Beeld, reports on 9th September, under the headline "Robbed while he bleeds" of a young man (Quinton Wagner) that was seriously injured in an accident and then robbed after being dragged into the bushes at a mini bus taxi rank. The other party that was also involved in the accident, but not injured, were also robbed. The CPF that came to help, also suffered under the hands of these criminals. "It is easy in an emergency - a car accident or hijacking - to be separated from your wallet or your purse containing your medical aid card. The inability to produce this information at a private hospital may lead to a delay that could compromise your chance for survival." Windows break and in most cases the sticker is then rendered useless. Stickers cannot be linked to one specific person in the vehicle. Stickers on car windows do not necessarily link to the owner of the vehicle. It might have been the previous owner's sticker. Most people use a security key to lock their phones. Therefore, it would be inaccessible by emergency personnel. In some cases, cell phones are damaged during a collision or stolen.